Finally, 2015 is here! 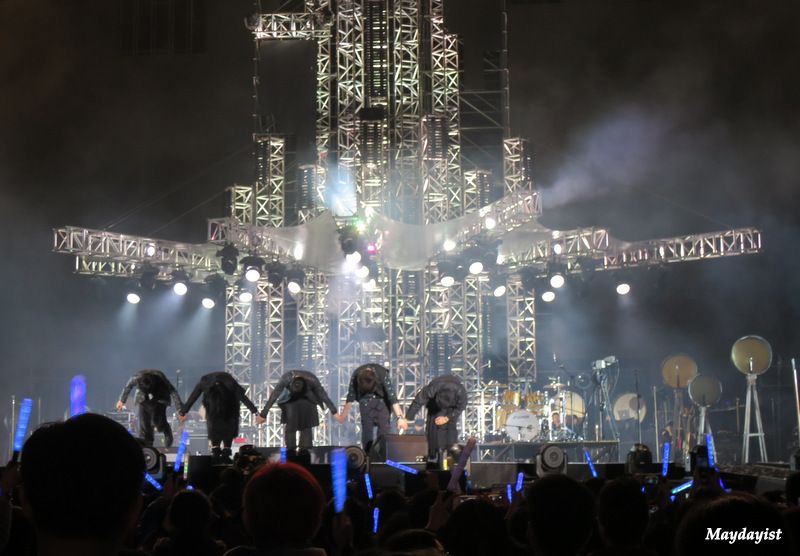 Let me repent for being inactive for the past few months with a comprehensive review of Mayday’s first concert in 2015! Initially, I thought I will just try my luck to get tickets through IBON and leave it to fate. If I could somehow secure tickets miraculously, I will reluctantly purchase the exorbitant plane tickets. Unexpectedly, with unknown superpower, I managed to purchase 7 tickets via IBON after a 7-hour battle. So, the astonishing victory resulted in two nights with Mayday. 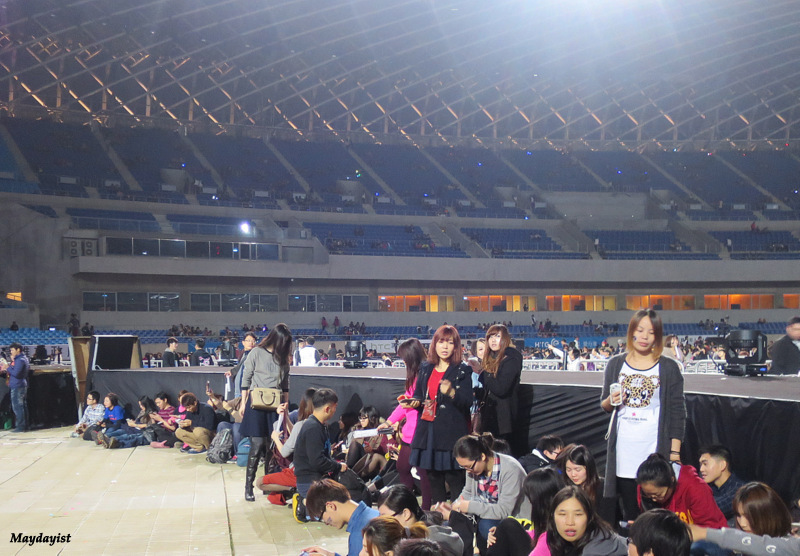 It was my third time in Kaohsiung’s World Games Stadium for Mayday concerts. My first overseas concert experience was 創造55555人DNA無限放大版 on 5th Dec 2009. I still remembered how I had to purchase a Lion travel concert package (return bus ride from Taipei Main Station and concert ticket) after I failed to conquer IBON. After I purchased the Lion travel package, more 搖滾漫遊 tickets were released. So I ended up buying the 搖滾漫遊 ticket as it was closer to the second stage, and gave my extra concert ticket to the Lion travel tour guide. As my Mayday madness continues to intensify, I visited Kaohsiung again in 2012. 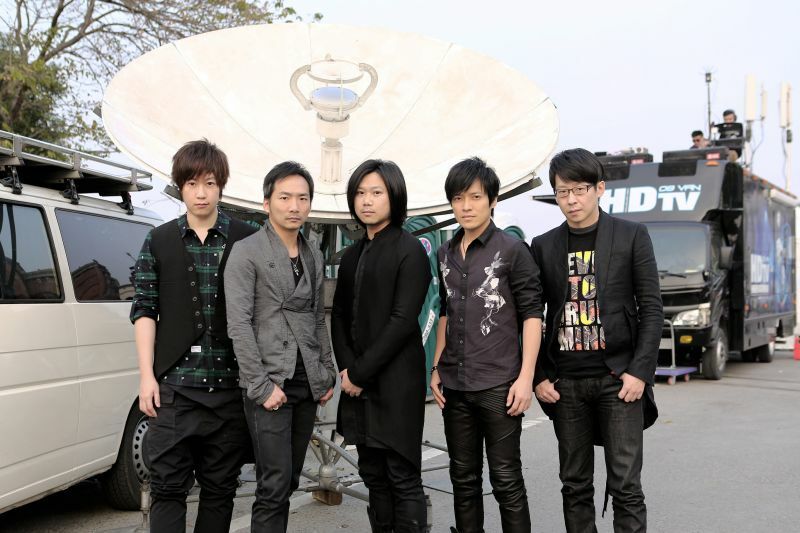 I witnessed the Jerry Yen singing “好不好” and had a memorable countdown to 2013 with Mayday. After 5 years (since my first overseas concert), I returned to World Games Stadium. Maybe I have changed as a person, as a Mayday fan or perhaps Mayday has changed, I had very different feelings this time around. 23. Do you ever shine? 22. Do you ever shine? Before I start my review, let me talk (rant) about this rabbit. It is called endearingly by fans as 陳小兔. Well, because Mr Ashin caught the rabbit from a random machine, posted on his FB and performed with the rabbit during the concert, all the fans became obsessed with this rabbit. Fans attacked similar machines all over Kaohsiung (and maybe Taiwan). Shrewd sellers started a “black market” to sell this rabbit. Why? Just because this rabbit had a brief encounter with Mr Ashin. Perhaps I am an older/not a plushie-lover, I find this entire craze ridiculous. As the concerts progressed, this bloody rabbit became a terrible nuisance as some fans waved them around (in desperate attempt to capture Ashin’s attention) and disrupted the viewing pleasure of innocent (logical) fans. Back to the concert, I was lucky to have the rock zone tickets on 2 Jan. Surprisingly, the rock zone was not a war zone as I had expected. We did not have to queue for long to get in as the management organised us orderly based on our assigned numbers. 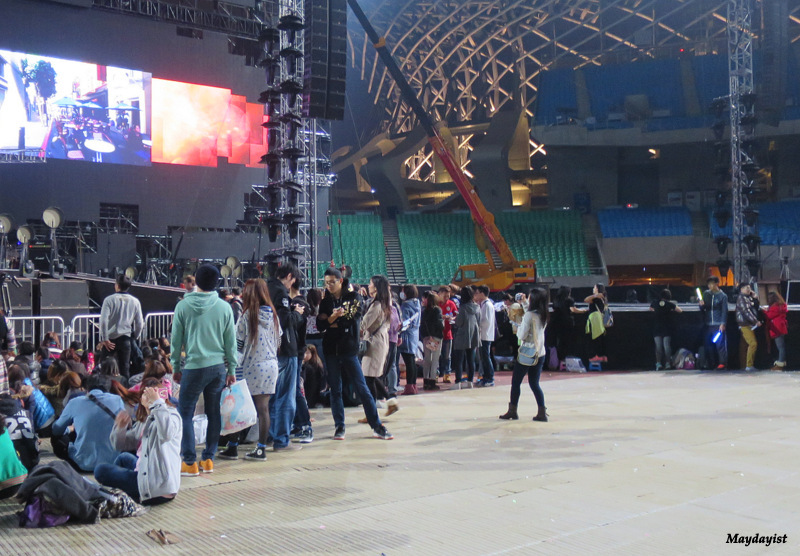 Moreover, there was ample space for fans to sit, move and jump around. Mr Ashin has obviously been busy writing songs (and may have neglected his physical appearance)…. Newly-married Masa was in super good mood! Movie star Monster was so smiley! Stone looked fit and handsome as usual! This was the best picture taken! Stone digging his nose! He was making a joke about how the stage was so exposed that they felt vulnerable (and they could not do something like this…)! 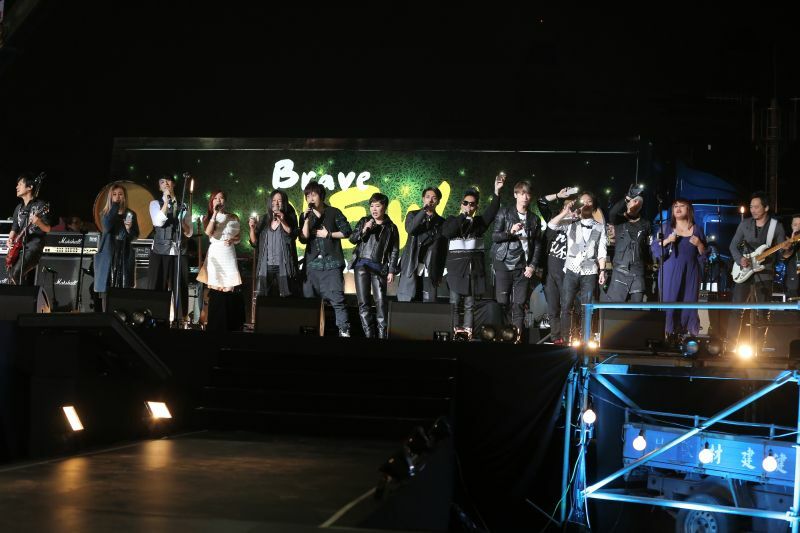 On 2 Jan, Magic Power was the guest star. They were very energetic and entertaining. On 3 Jan, Bai An sang two songs to warm up the stage. I saw her first performance (as a guest singer) in World Games Stadium in 2012 when she appeared quite nervous. She looked more confident this time. 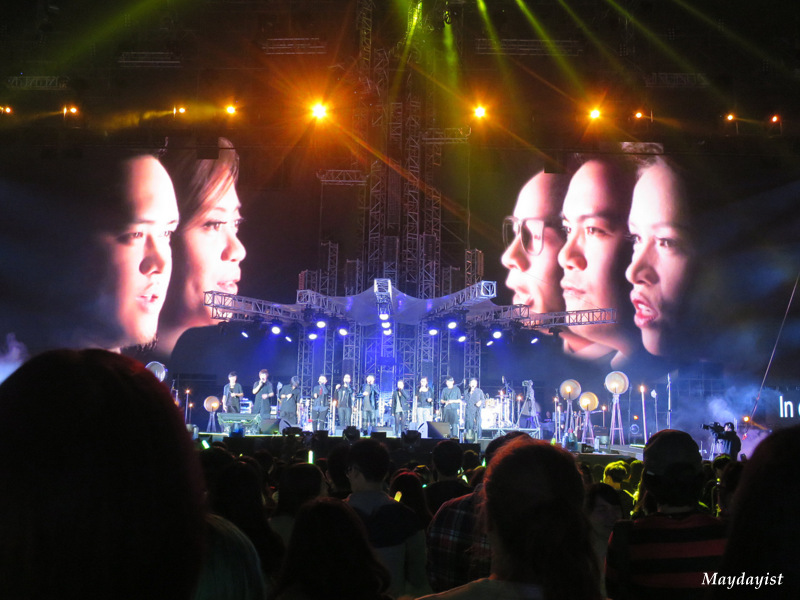 One interesting segment of the concert was the collaboration with 歐開合唱團. They added refreshing melody to the old favorites like 戀愛ing and 笑忘歌. They provided good background melody for 由我們主宰. The best part of the concert was the campfire session (螢火). 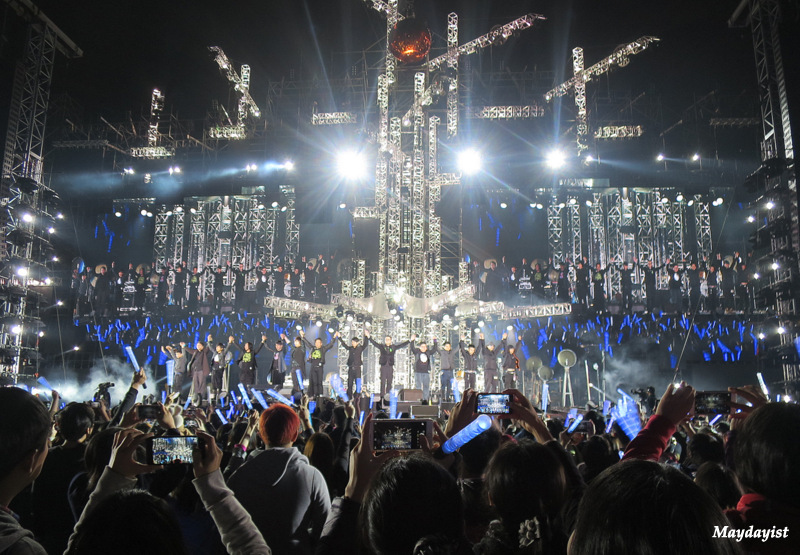 Since the concert was named “螢火晚會”, they lit up a fake campfire and sang campfire songs. The section was intimate (not only that I was near them physically) as they sang very nostalgic tunes like 紅蜻蜓! It was nice to see the boys chatting casually around the campfire. It was both funny and touching to see the old photographs of the boys. For that moment, the fans were reminded that they were looking at 5 ordinary boys who achieved their dreams and grew into super stars. Check out a preview of the campfire session! I also enjoyed the guest star section. I simply adore Mr Rock Star – 乱彈阿翔. He sang I Love you 無望 with Ashin. Time seemed to stop when he sang the rock ballad 完美落地. Quite hilariously, this emotional song provided a comic relief (for the rest of the concerts) as the boys made fun of 乱彈阿翔’s cheesy introduction to the song. Poor 乱彈阿翔 was teased by the playful boys as they took turns to use the song title in the most tacky way they could think of. Check out Ashin’s soulful rendition of 乱彈阿翔’s 完美落地 from 27.40 (in 完全娛樂’s review)! I think I Ashin looked the best in this outfit (of course, this shirt was sold out in the Stay Real shops). His pouty expression in this picture! Personally, I feel that set list (other than the campfire session) is rather predictable. Mayday seems to be singing the same few songs over and over again. Maybe I am growing old (or suffering from travel fatigue), I really hope to listen to different songs (less mainstream songs). However, my wish may not realistic as Ashin explained that they have to cater to a wide range of audience – from old fans who are familiar with their older/edgier songs to young fans who like their mainstream/sing-along hits. Well, talking about “芭樂歌”, I guess it is true that the boys have to write such songs to appeal to the audience/market. On the other hand, they also have to juggle with writing friendly/inspirational hits and creative tunes to keep their music refreshing.They have been working hard to create more diverse sounds and are quite successful with their China wind rock songs like入陣曲 and 將軍令. Being such a successful band, the boys are burdened with great expectations. Ashin must be killing all his brain cells to write songs for the upcoming album as everyone is anticipating/expecting another breakthrough like 後青春期的詩/第二人生. At the end of the day, I believe all old fans who joined Mayday from their first album or at any junction would have grown up with every single album, every single concert, and every single encounter with Mayday. To a certain extent, the concerts serve as a mirror that reflect our feelings and beliefs at various stages of our lives. Currently (my feelings may change in the future), I feel that I do not have to attend every single concert… perhaps it is not the quantity but the quality… It is more important to attend the concerts with people I treasure so we can share precious memories that we can relive when we are old or when Mayday eventually retires.